How can I connect my HW-K950 to an external device HDMI cable? You can connect various devices to the soundbar with an HDMI cable such as Blu-ray players and game consoles. HDMI prevents any degradation to the signal due to conversion to analog and maintains the video and audio quality of the original digital source. 1. 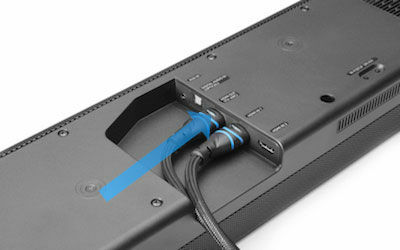 Connect one end of the HDMI cable to either HDMI IN port on the bottom of the soundbar. 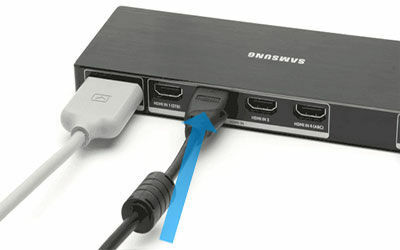 For this example, the HDMI cable will be connected to the HDMI 1 port. 2. 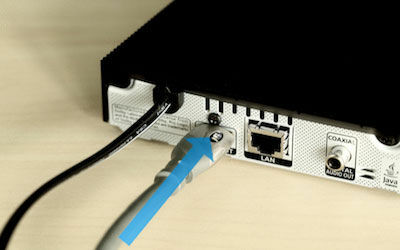 Connect the other end of the HDMI cable to the HDMI OUT port on the external device. For this demonstration, a Blu-Ray Player will be used. 3. Connect one end of a HDMI cable into the HDMI OUT (TV-ARC) port on the soundbar. 4. 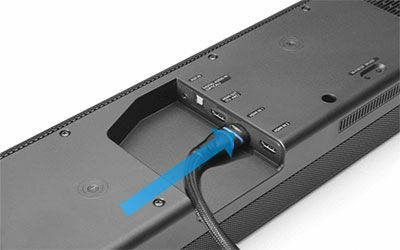 Connect the other end of the HDMI to an HDMI IN port on your TV. 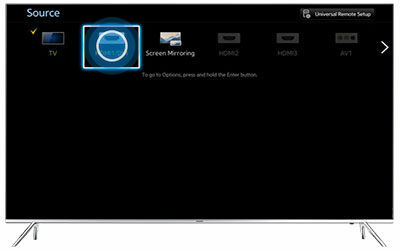 For this example, a Samsung TV with OneConnect is used. 5. Navigate to your TV's Source menu. 6. Select the source the external device is connected to. 7. 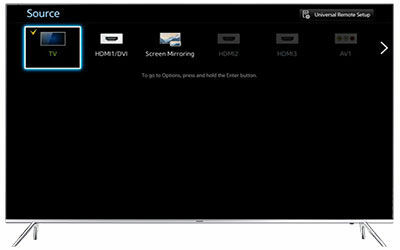 Press the SOURCE button on the soundbar or remote until HDMI appears on the display.